At the beginning of 2019, the aluminium industry market is abuzz with the news of US Government’s removal of sanctions on RUSAL and positive trade negotiation between the US and China. The factors that had created imbalance in the international markets like supply uncertainty in aluminium and raw material sectors simmered down. The global aluminium industry is expected to be moderately optimistic during 2019. The industry players are looking forward to a year full of activities for the aluminium sector driven by solid demand and growing supply. Major industry forums have scheduled a series of events which might be fruitful for the industry players to create new business opportunities. Though some of the events already taken place including ALUMINIUM INDIA 2019, TMS 2019 – 148th Annual Meeting & Exhibition, but that does not means the list ends. We have covered the top aluminium events to be taking place around the world in 2019. 25th Bauxite & Alumina Conference is a platform to connect with industry colleagues old and new in the warmth of Miami. With 200 members of the bauxite and alumina markets attending, the discussion is focussed on issues, trends and sustainability specific to the industry. The event will be in collaboration with the Department of Industrial Engineering, Sector of Technologies and Processing Systems, University of Bologna. Highly qualified “Aluspecialist” from companies, universities and associations come from all over the world to present the most innovative technologies and applications in the aluminium field. The event congress will appeal to aluminium distributors, architectural designers, and mechanical engineers – particularly those in the extrusion and casting industry. 8th Annual Global Automotive Lightweight Materials Europe 2019 is a conference dedicated to technologies and innovative solutions related to advanced lightweight materials. 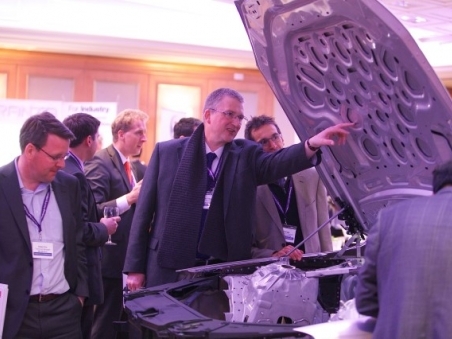 The summit will feature the latest OEM-led case studies and innovative solutions from the material and technology providers to the critical audience of the automotive experts. The event provides concise insight on supply, demand, price, premiums, sustainability and costs for the benefit of a highly-influential audience from the global aluminium industry. CRU’s World Aluminium Conference attracts delegates involved in primary, secondary, extruded, rolled products, end use, trading and financial sectors. This compact one day technical conference sets out to position the technological and production challenges in the new frontier of smart, innovative automotive seating; but drills into the real ‘current’ ‘today’ challenges of mass vs comfort vs durability. Organized by Quartz Business Media, the Future Aluminium Forum event will draw upon the unrivalled expertise of aluminium industry professionals, production technologists and academics, to create an event designed specifically for those seeking a greater understanding of ‘smart manufacturing’. The 4th Global Bauxite Summit will focus on the demands of the industrial chain, build a bridge of communication, explain the development trend of the global bauxite market, and China’s import bauxite development potential. 4th Global Bauxite Conference 2019 is platform to find new investment cooperation opportunities and expand global business landscape. GIFA, the world’s most important international trade fair for specialized casting technologies showcases all aspects of future oriented innovations. The fair is accompanied by the WFO Technical Forum, which thematically covers all areas of process technology for foundry and informs about the latest developments in the industry. 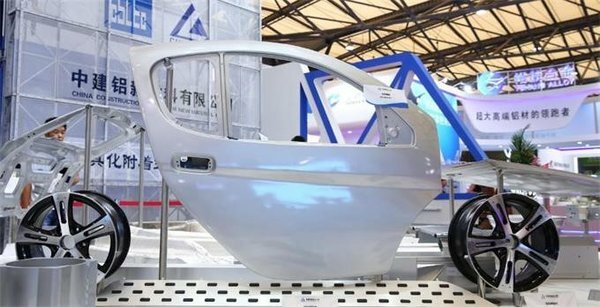 ALUMINIUM CHINA is Asia’s professional aluminium industry platform for the complete aluminium industry supply chain, bringing together leading industry figures, cutting edge technologies and advanced applications. More than 500 exhibitors from 30 countries will showcase vivid range of aluminium products from raw materials, semi-finished, finished products to production and processing machinery and accessories. Aluminium Market Update is designed to give meaningful insights, opportunities for market debate, and time to make connections with others in the industry. Delegates will gain access to this large group of metal buyers and benefit from a valuable networking opportunity. International Bauxite, Alumina & Aluminium Society (IBAAS) is organizing the 8th International Conference & Exhibition (IBAAS-GAMI 2019) jointly with Guiyang Aluminium Magnesium Design & Research Institute Co., Ltd (GAMI). More than 300 delegates from various fields from Primary & Secondary Aluminium Industry from China and abroad are expected to participate in this International mega event. The theme of the IBAAS- GAMI 2019 Conference & Exhibition is “Technological Advances in Alumina, Aluminium Smelter, Downstream Operations, Energy Conservation, Environmental Control and Intelligent Manufacturing with Special Reference to China”. ALUMINUM USA is the leading exhibition and technical conference for all things aluminium: products, technologies and investments in the United States. It represents the entire value chain offering solutions for the aluminium industry and all applications fields. The event will take place for the third time. The International Committee for Study of Bauxite, Alumina & Aluminium (ICSOBA) will be hosting the 37th International Conference and Exhibition in cooperation with RUSAL and Non-Ferrous Metals of Siberia (NFM). Exhibition “Non-Ferrous Metals and Minerals” provides an opportunity to take part in seminars, conducted by the world leading experts, to extend and strengthen the scientific, technical and industrial ties between the companies, to keep familiar with the latest innovations and newest achievements of geology, mining, metallurgy and metals treatment. ALUEXPO 2019 – 6th International Aluminium Technology, Machinery and Products Trade Fair is an international aluminium technologies machinery and products exhibition and the first trade fair of its kind in Turkey. The event is a high-level gathering place for professionals, deal makers and experts in the aluminium industries. The Arab International Aluminium Conference (ARABAL) is the premium platform for the aluminium industry in the Arab world. This year will focus on – Shaping the Future of Aluminium in the Arab Region. ALBA are the proud host of the 23rd ARABAL.